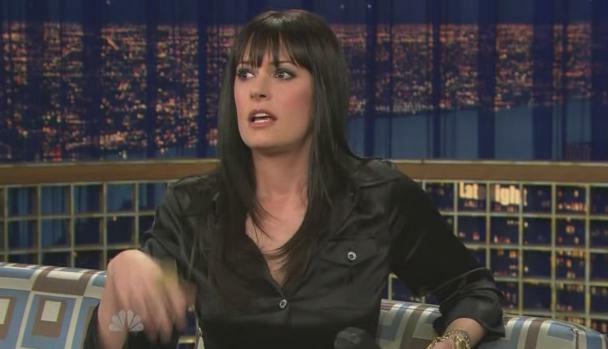 Paget@Conan Late Night mostra. . Wallpaper and background images in the Paget Brewster club tagged: paget brewster conan late night show. This Paget Brewster photo contains sala lettura. There might also be ateneo, atheneum, completo, and vestito di affari.